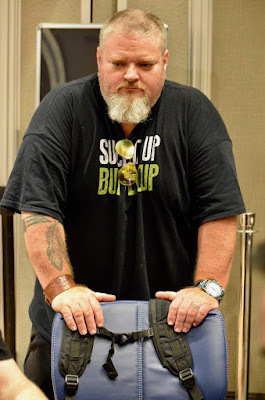 7-handed at #WPTDSThunderValley OneDay$100k - Greg @Zarrdogg White opens for 200,000, Willie Smith moves in for 710,000, then Shawn Naggiar undershoves for 430,000. White shows Pocket_Sevens and he's the only one with a pair, up against the Ace_Queen of Smith and King-Ten of Naggiar. There's a Ten on the flop to put the short-stacked Naggiar in position for a triple-up, but White four-flushes and eliminates both players. Smith cashes for $6,461 in 6th. White moves to 2.9 million.